In celebration of our 50th Anniversary and #throwbackthursday #tbt, we’ve unearthed this fantastic picture of the original St James the Apostle school faculty from 1967! 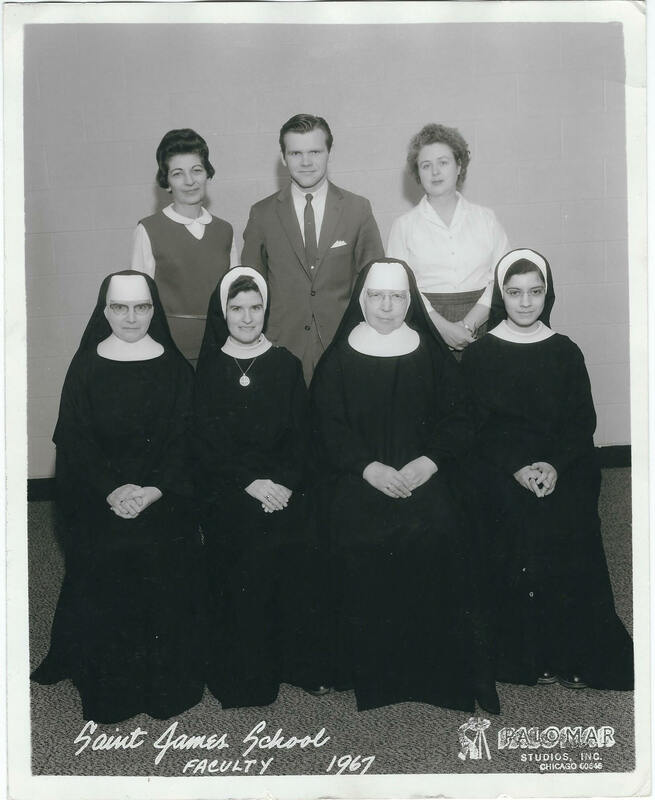 Pictured from L to R: Front Row – Sr. Regis, Sr. Mary Patricia, Sr. Celine and Sr. Cabrini; Second Row – Mrs. Fran Hancock, Mr. Ron Yurcus and Ms. Judy Rieder. We hope you enjoy this hidden gem and check back soon for more 50th Anniversary updates!